Citrus fruits can be eaten by those of us who have fructose intolerance or are on a low FODMAP diet. So I have gathered together from friends a collection of recipes which contain them. We all know that they contain a heap of vitamin C and to eat them when you feel a cold coming on but you probably have no idea that they are low in fructose unlike apples, cherries, mangoes, pears and watermelon, which are dynamite for me. 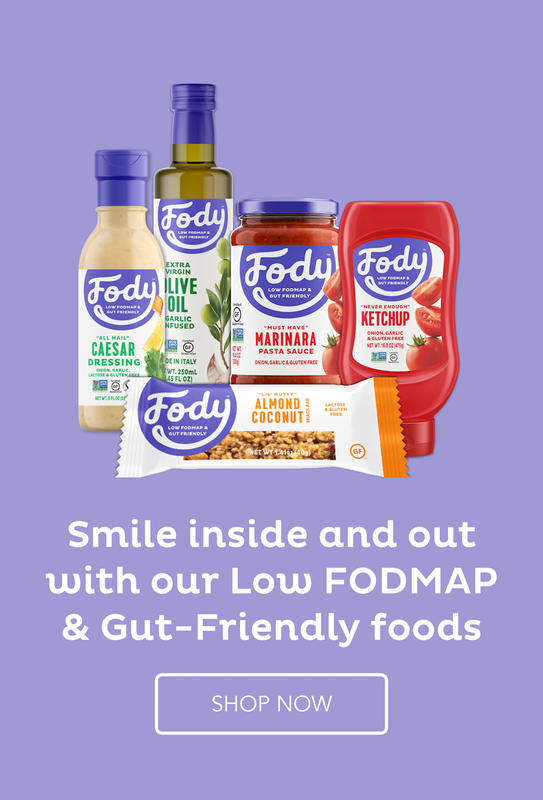 In these guest recipes, there are a few things it would be better to leave out to keep them low FODMAP friendly. I will mention these after each recipe. Orange Chicken from An Organic Wife – Use maple syrup instead of honey and tapioca flour instead of wheat flour. Lemon & Herb Spatchcocked Chicken from Honey Ghee and Me – Leave out the shallots. Orange Balsamic Chicken with Roasted Root Veggies from A Happy Health Nut – Leave out the garlic and use a little garlic-infused oil. Creamy lemon Chicken from Divine Health from the Inside Out – Leave out the garlic and use a little garlic-infused oil. Lemon Roasted Halibut from Delicious Obsessions – Leave out the garlic and onion powders and use a little garlic-infused oil. Shrimp with Lemon, White Wine and Spinach by The Clean Dish – Leave out the garlic and shallots and use a little garlic-infused oil. Luscious Lemon Bars from Divine Health from the Inside Out – Replace the honey with maple syrup and only have a small piece because of the high almond content. On another subject, my cookbook, Paleo Treats, has been reviewed by Alison at Health Nut Nation and she has shared a recipe from it for Chocolate Cherry Muffins here. I love citrus! One of my fave flavors, lemon in particular. Great roundup – thanks. Lemon gives that acidic lift which is often so necessary in both sweet and savoury dishes. Your recipes especially are so good for those who are suffering food intolerance. You’ve tested them on your own body AND everything I’ve tried has been so tasty. Thanks, Maureen. You are right – I am like a guinea pig for all these recipes. LOL. Awesome round up in fact I am just posting a Citrus cake in few mins 🙂 cheers! Citrus recipes are always popular. I am sure your cake was a huge success. I love cooking and baking with citrus, wonderful collection of recipes! So do I. The collection was quite unique. So am I glad. They are so versatile as you said. I use them for everything and should have my own lemon tree but sadly don’t. You are welcome, Shelley. Your dessert looks glorious. You are welcome, Jessica. It is certainly an interesting collection of recipes. Lemon tarts are always good – one of my favorite desserts. Good luck with the winter.